A new partnership with Startup India Hub begins – the Innovation World Cup® Series goes Desi! Munich, 21st of March – Today we are thrilled to announce the new partnership between the Startup India Hub (Government of India) and the Innovation World Cup® Series. The worldwide leading competition in the areas of Internet of Things and wearable technologies is now setting foot in India and teaming up with the Indian Government to encourage the Indian leaders of tomorrow to take their IoT solutions to the next levels and transform budding ideas into successful startups. India is on the cusp of “Digital Revolution”. With Digital Backbone Initiatives being pioneered by the Indian Government and the rush of Entrepreneurial capital, the stage is now being set for the unlocking of a Trillion Dollar Economy with the GDP expected to grow by 20-30% by 2025. As for the IoT market, India is one of the giants in hosting and fostering tech businesses, now aiming to reach the target share of 5-6% in $300 billion global IoT market. 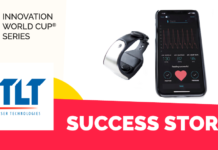 Enabling the transformation into a leading IoT-centric country and bridging the gap between investors and promising entrepreneurs will be the key area of focus for this partnership between the Startup India Hub and the Innovation World Cup® Series. Startup India Hub is a one of its kind online platform for all players of the startup ecosystem in India aiming to create a network of start-ups and bring together all stakeholders, from aspiring entrepreneurs to investors. The Hub, developed under Startup India, the flagship initiative of the Government of India, is also one of the significant offshoots of the “Make in India” drive. 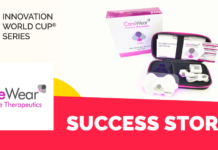 The Innovation World Cup® Series, as a cohesive ecosystem player, is looking forward to adding value by connecting the ingenuity of IoT techpreneurs with the potency of leading industry partners to form powerful alliances capable of accelerating Indian innovation and making it visible to the world. With Startup India Hub having the local knowledge of the start-up ecosystem and the Innovation World Cup® Series being the most established open innovation platform worldwide, this partnership promises to be a great frontrunner to create the biggest ecosystems in the IoT front in India and across the globe. 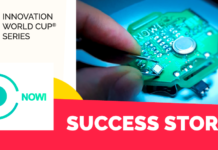 As a first step towards this endeavor, the Innovation World Cup®’s developer workshop powered by STMicroelectronics will be coming to India on April 24th. Register now, we are already looking forward to welcoming you there! 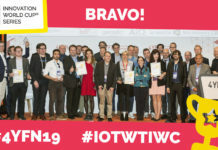 Previous articleAdvance and spread your innovation with the 10th IOT/WT Innovation World Cup®! 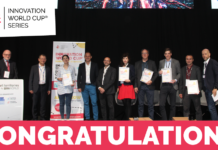 Next articleSubmit your solution to the 2nd EBV IoT Hero in the Innovation World Cup!